It all started in 1999, when MedSpeed’s founder, Jake Crampton, sought to disrupt the transactional medical courier marketplace with an innovative, smarter solution. From a business plan developed in graduate school, to a national operation with more than 100 launch points in 28 states, MedSpeed is a unique and exciting organization. Called intra-company logistics, MedSpeed’s solution helps healthcare organizations physically integrate through the enterprise-wide movement of patient- and business-critical items. MedSpeed’s customers transform their transportation networks from cost centers into strategic assets that can be leveraged for long-term meaningful cost savings and efficiencies. Even though MedSpeed has grown to serve some of the largest and most complex healthcare organizations in the country, we have kept the small business, entrepreneurial feel and remain committed to the same culture that was established on day one. 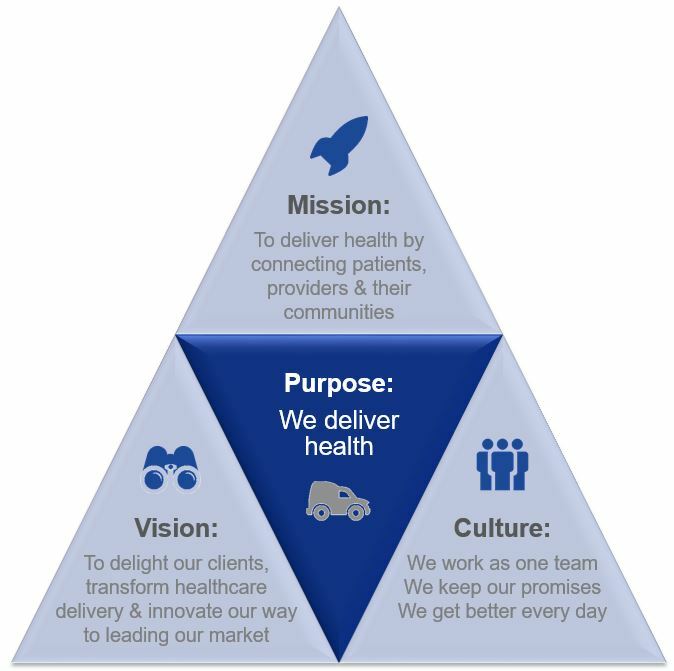 Our mission, vision, purpose and culture demonstrate how MedSpeeders view at the world and the expectations we have for our team and interactions with our clients.